Forget everything you’ve ever known about working out. but it’s never been known to be much fun…until now! 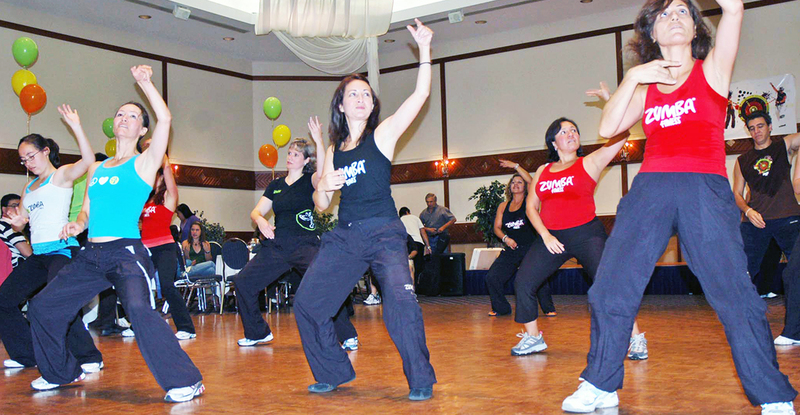 Zumba brings long term benefits while experiencing an absolute blast in one exhilarating hour of caloric-burning, heart-racing, muscle-pumping, body-energizing, awe-inspiring movements meant to engage and captivate for life!. With routines that feature interval training sessions, fast and slow rhythms and resistance training, you’ll love burning fat and toning and sculpting your body while enjoying the Latin flavor and international zest. 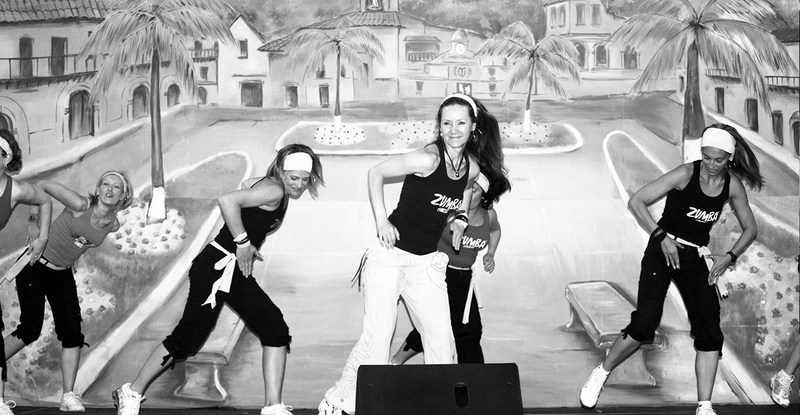 This is ZUMBA®! Getting fit has never been this much fun. ZUMBA®!! 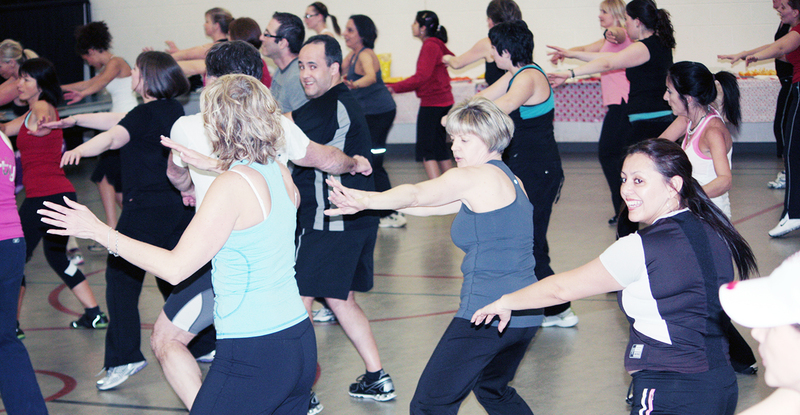 Is an effective aerobic, strength training experience that’s more like a party than a workout. We all know that working out is the right thing to do when you want to get and stay fit. The benefits of strong muscles, a healthy heart and great shape cannot be denied. We also know that working out can be a boring, monotonous chore. Well, not anymore! ZUMBA® is undeniably different! You won’t find this music or energy in any other class. 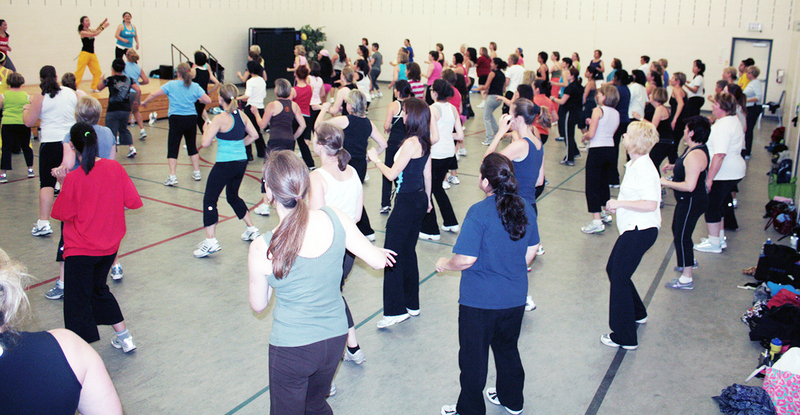 ZUMBA® brings together energizing musical rhythms and tantalizing moves to create a dynamic workout that is FUN and EASY! Your heart will be racing. Your muscles will be getting stronger. And, you’ll be looking forward to the next class. We want people to get hooked on working out. We want you to want to work out, to love working out, to look forward to working out. People of all ages are falling in love with its infectious music, easy-to-follow dance moves, and body-beautifying benefits. It’s fun!!! It’s exercise you’ll want to do every day. And, it’s fitness you’ll feel good about doing. 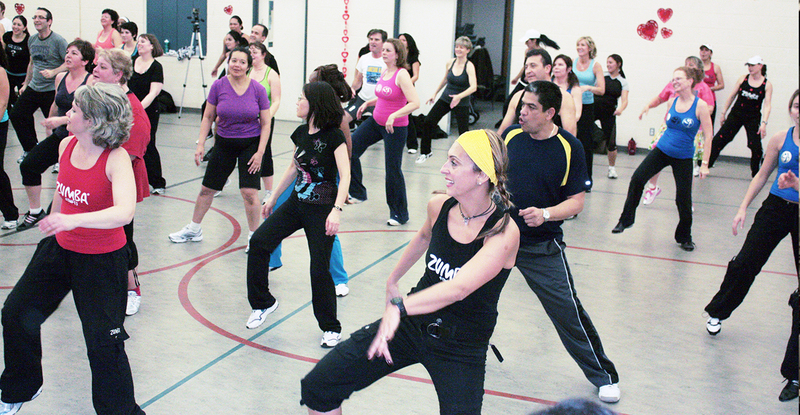 By integrating ZUMBA® into everyday life, individuals can achieve long term benefits while experiencing an absolute blast in one exhilarating hour of caloric burning, heart racing, muscle pumping, body energizing movements meant to engage and captivate for life!